Want to give your kitchen a modern makeover? Consider a fresh coat of paint or new cabinet fronts. 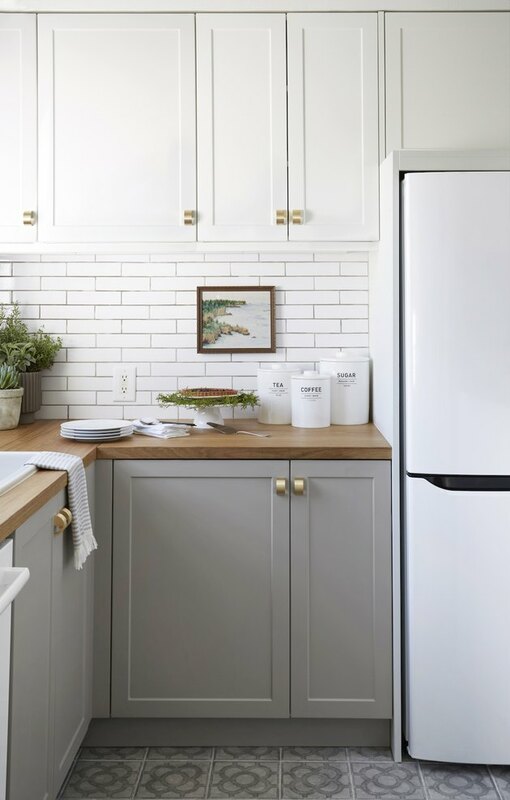 It's an easy and relatively inexpensive way to breathe new life into your cook space, and the results are pretty remarkable, too. Of course, the first step is choosing a suitable hue. While you can't go wrong with classic white or envy-inducing emerald green, there's something so cool and contemporary about gray cabinets. Scroll on to see for yourself. This thoughtfully designed space by the team over at House of Jade Interiors flaunts stainless steel appliances, marble subway tile, and shaker cabinets with crown molding. The effect is sophisticated yet still modern. 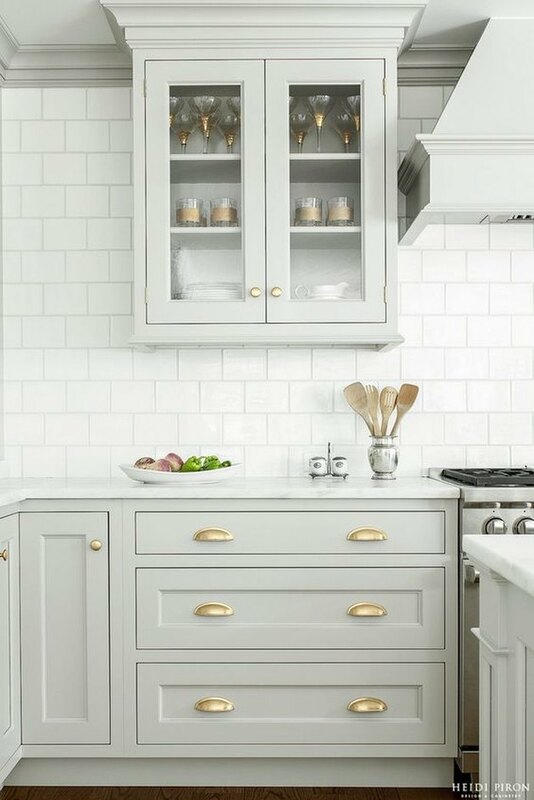 We love the combination of dove gray cabinets and brass accents in this traditional kitchen designed by Heidi Piron. Speaking of: Swapping out hardware is another great trick for instantly updating your space. It's no secret that gray lends itself toward interiors that are sleek, chic, and industrial. 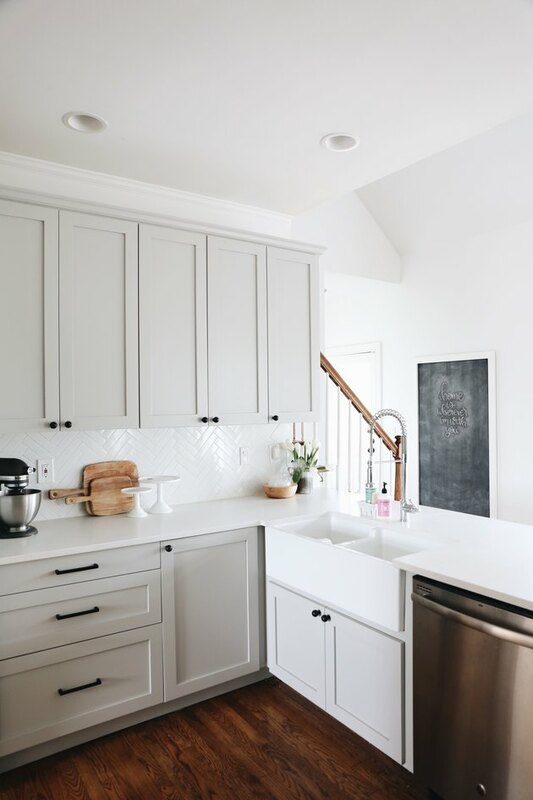 However, when mixed with wood flooring and a farmhouse sink, like this gray kitchen belonging to Jessica from Garvin and Co., the versatile neutral proves it can play well in settings that are a little more rustic, too. 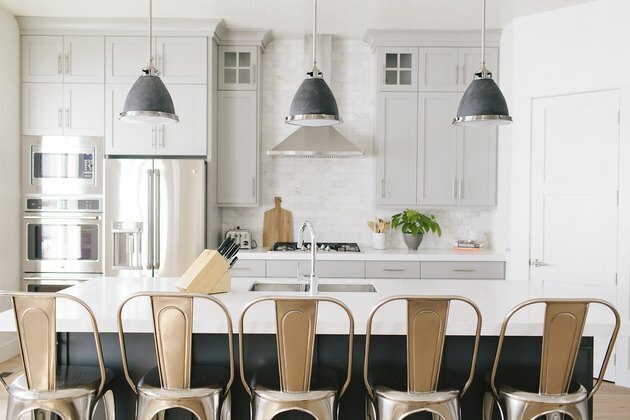 Shale (as in the abundant sedimentary rock) is a timeless tone that feels right at home when paired with a few contemporary accents, as seen in designer Orlando Soria's gorg two-tone kitchen makeover. And can we talk about the patterned ceramic floor tile? Swoon! Can't decide on just one shade? Don't. 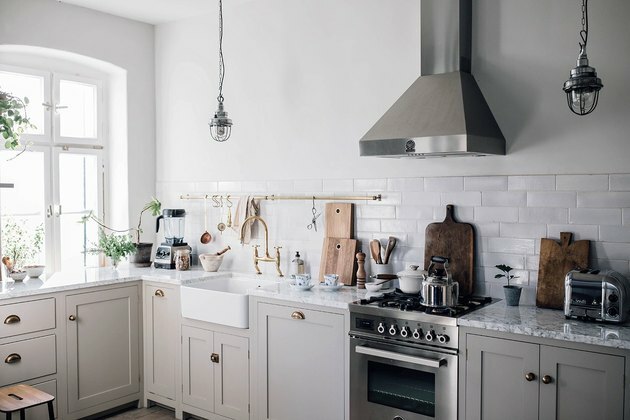 Take a cue from this two-tone gray kitchen belonging to Catherine from The Tetbury House. She went with a lighter hue for her upper cabinets and a darker, more dramatic color on the bottom. In this kitchen redux (which was completed in only six days!) 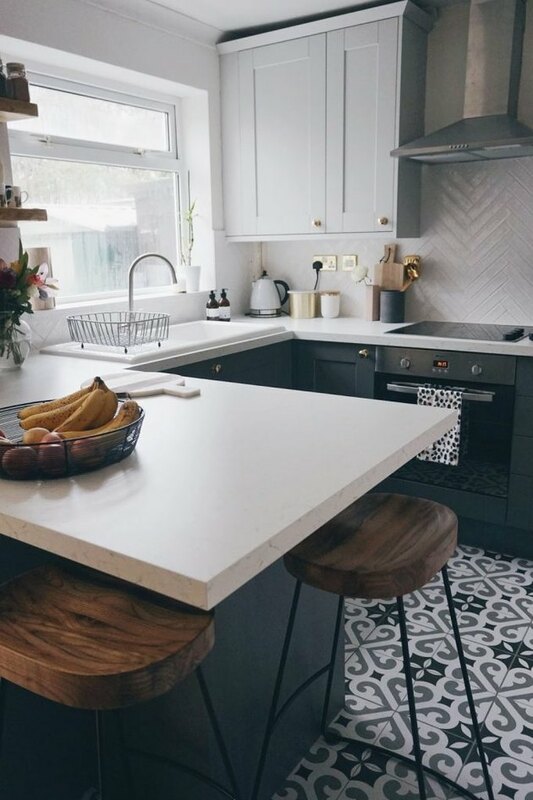 by Chris and Julia from Chris Loves Julia, midtone gray pops against bright-white subway tile, while white oak countertops subtly warm the space, adding a hint of contrast. Three words: clean, simple, functional. 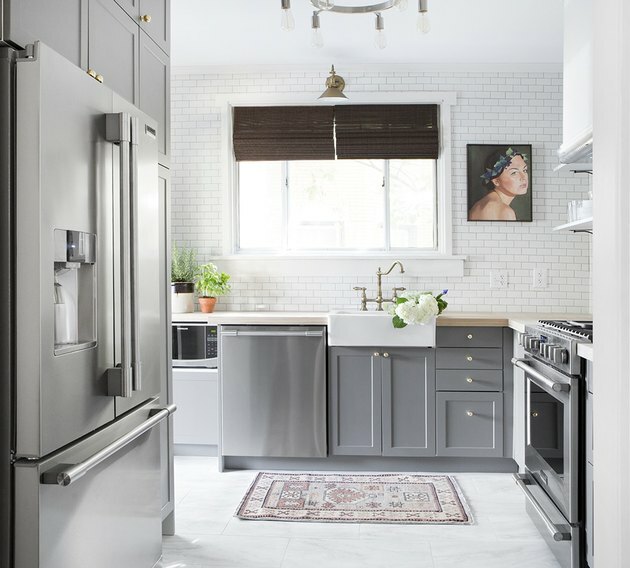 In this gray kitchen belonging to Nora and Laura from Our Food Stories, stainless steel appliances are complemented by shale-hued lower cabinets, which add depth and drama without detracting from the overall dreamy country aesthetic. ​Lindsay Cohn is a freelance writer with a penchant for design and travel. Follow her on Instagram @​lindsay_cohn.